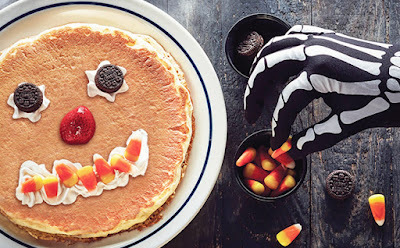 On Halloween - October 31 from 7:00 a.m. to 10:00 p.m. IHOP is offering a free Scary Face Pancakes for kids 12 and under – no purchase necessary! Limit 1 per child. Dine-in only.